It doesn’t get much more difficult for Man Utd after the international break than an immediate encounter with in-form Chelsea. The Red Devils take on the Blues on October 20 hoping to build on their win over Newcastle United last weekend, while Maurizio Sarri’s side sit joint top of the Premier League table after a fine start to the campaign. Still unbeaten, Chelsea have won six of their first eight games to set the pace alongside Man City and Liverpool, although it remains to be seen how they fare in their first major test in the league against Mourinho’s side at Stamford Bridge. In contrast, it’s been a difficult start for the Portuguese tactician as his side continue to languish in eighth place in the standings, but he could be handed a boost on the injury front with the Evening Standard reporting that Jesse Lingard could be back after suffering a groin issue last month. Having sat out since, coupled with the time over the international break, it is suggested that it could be enough for him to recover and feature with a string of crucial fixtures coming up for Man Utd, not least the double header against Juventus in the Champions League. 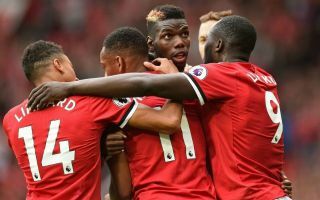 With that in mind, Mourinho will be desperate to have as close to a fully-fit squad at his disposal to compete on various fronts and so having Lingard back will give them a boost in the final third. The 25-year-old hasn’t quite got going so far this season, registering just one assist in six games. However, as he showed last year with 13 goals and seven assists in 48 outings, when he has a run of games and is fully fit, he can be a decisive figure in United’s attack.